I am very excited to join a group of very talented bloggers from And Next Comes L, Still Playing School, Where Imagination Grows and Happily Ever Mom for Light&Reflection Series. 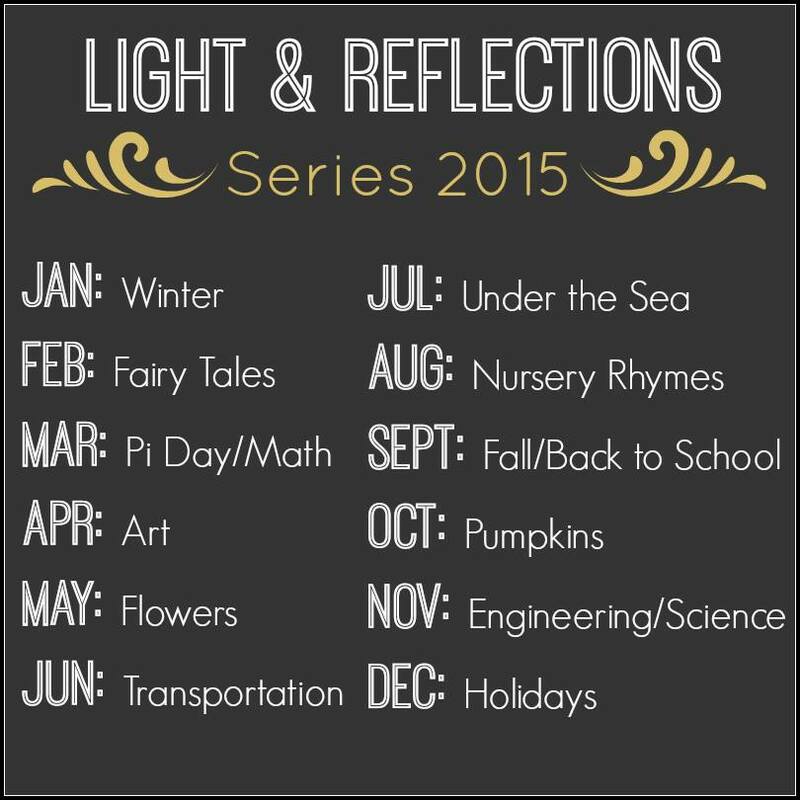 This month's theme is Fairy Tales. 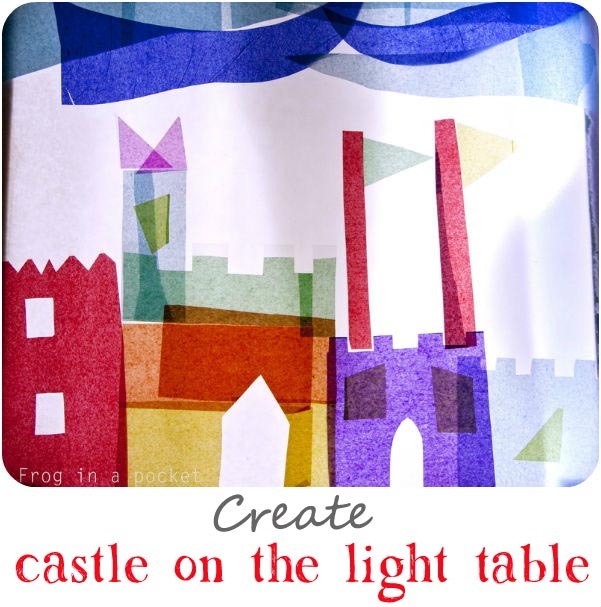 As Mr Frog is not a huge fan of fairy tales I put together simple light table activity that might interested him - making a castle on the light table. Fairy tales are full of castles. 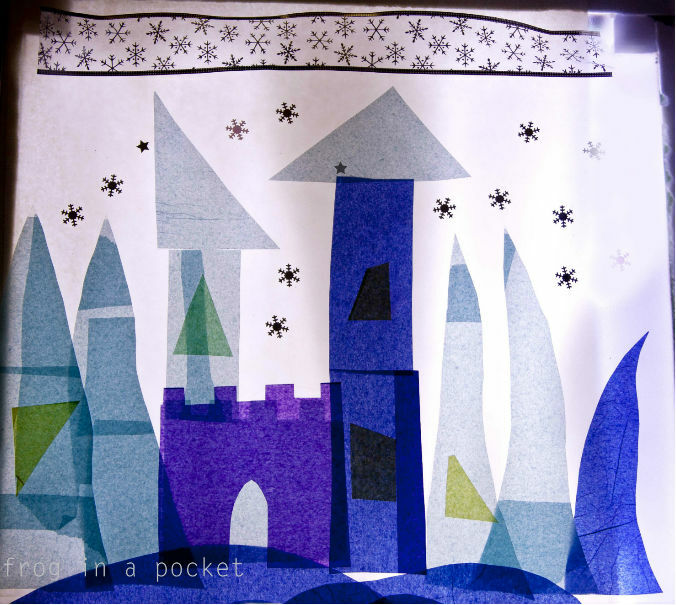 The Sleeping Beauty's castle covered with wild vines, Rapunzel hidden in the tower with no stairs, underwater colorful coral reef castle of Little Mermaid. 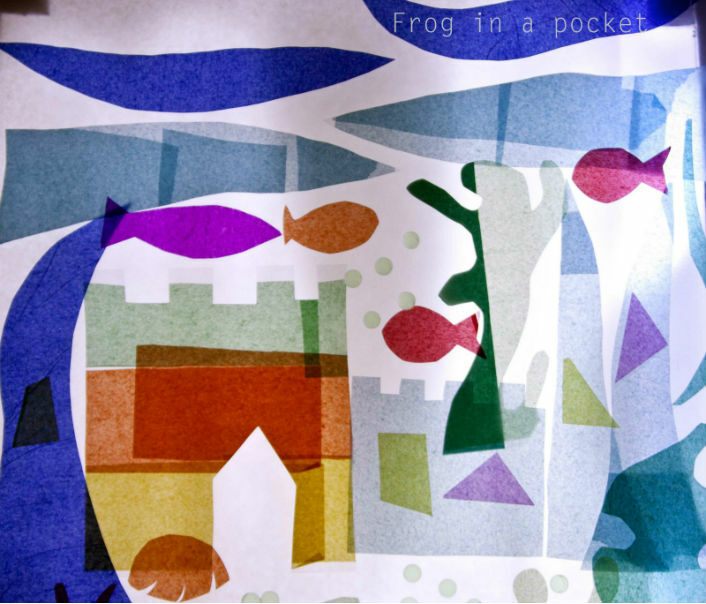 With Mr Frog we talked about how the castle looks like - all about the walls, towers and moats and looked at the pictures in some fairy tales. - tissue paper shapes (I laminated them, but don't worry if you don't have a laminating machine). Some of them looked like castle walls, some of them were just random shapes. 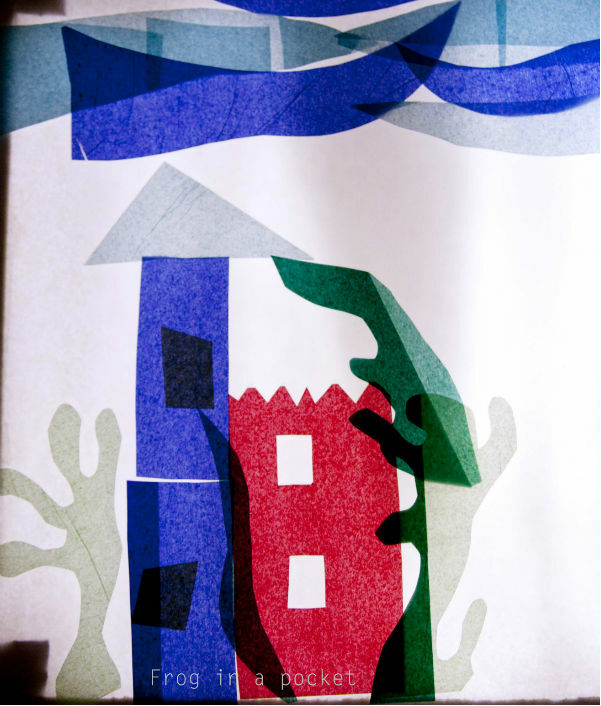 The more abstract the better - then gives great field for imagination! 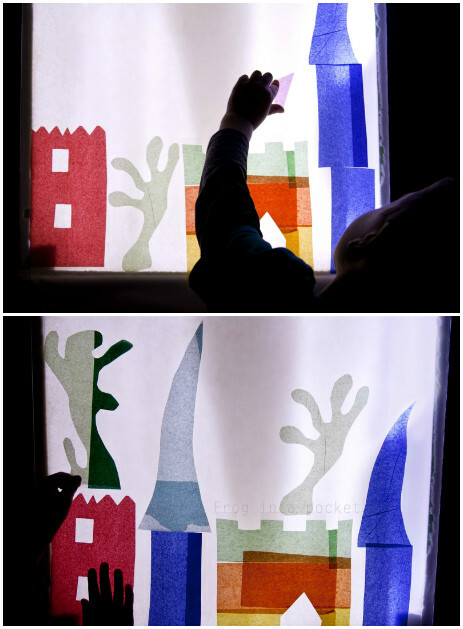 This simple activity let children play with shapes and arrange them in the space, experiment with color. 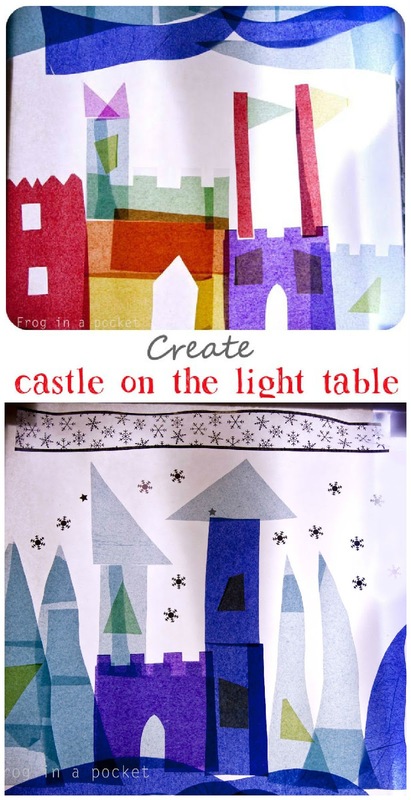 The light table scene is great for evening storytelling if you add some silhouettes shapes. 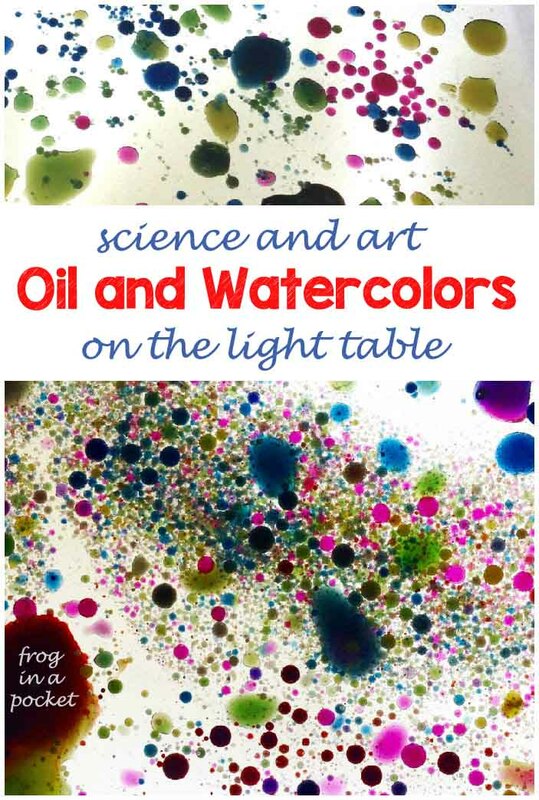 Visit us next month for more great Light & Reflections ideas! Labels: Imaginative Play, Light Table, Light&Reflections Series, Literacy. Beautiful! So excited to have you joining us! This is gorgeous - love it!! Great activity!!! We have recently created a home made light table! This is such a lovely idea that I will be trying for sure! Just saw your silhouette light box post too!! Another brill idea, love the spin on retelling stories! That would appeal to so many children!! OMG, this is sooooo beautiful!! !